WEST LOOP — An ice sculpture that has been in the works at 2 N. Riverside Plaza along the Chicago River was kept under wraps - until now. 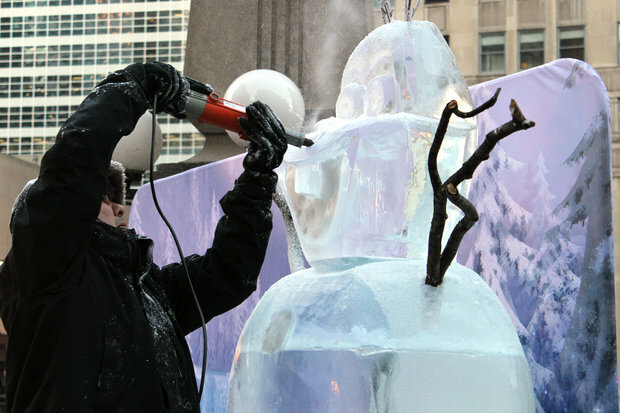 As ice carvers put their finishing touches on the ice sculpture Friday, it became apparent - the mystery sculpture is modeled off of loveable snowman Olaf, a character in Disney's 2013 movie "Frozen." 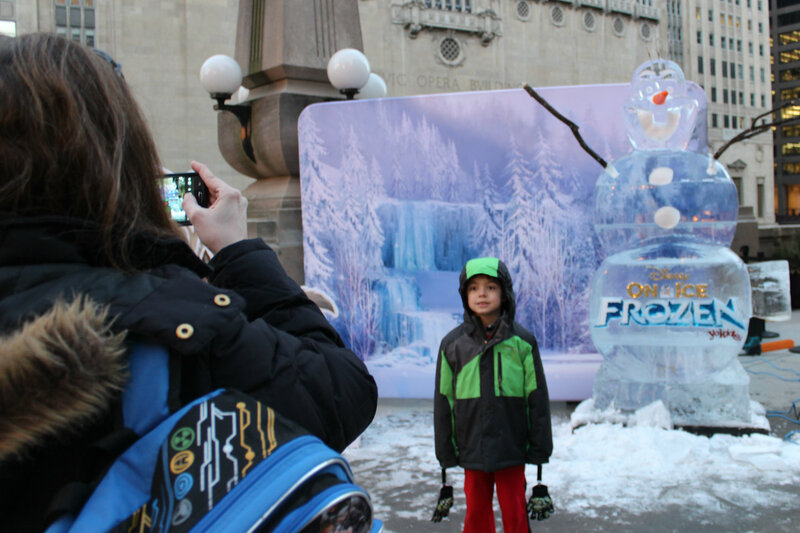 The sculpture, which advertises for Disney on Ice at the United Center, was revealed Friday evening. Al Ramirez, a sculptor with Nadeau's Ice Sculptures, said the crew worked on the ice creation in a tent on site for a few hours each day for four days. They started with eight large block of ice stacked on top of each other, fused them together, and then chiseled away. With a blowtorch and iron in hand, Ramirez was putting the putting the final touches on the fictional snowman Friday. The crew had dry ice on hand, too, in case part of the sculpture had to be refrozen. The statue is slated to stay in the plaza until Feb 6. But if Olaf starts to melt, like he does in the movie, he will be dismantled sooner, Ramirez said. 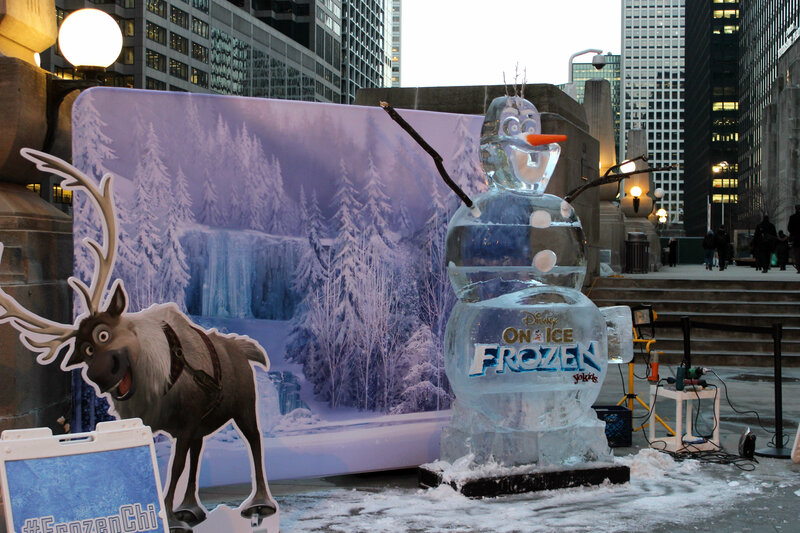 People passing by the ice sculpture can share their photos of Olaf online using the hashtag #frozenchi. Disney on Ice opened earlier this week and will run through Feb. 8.